This figure was included in the Rebel Command Center Adventure Set, but made it's first carded appearance on The Empire Strikes Back 41 back card. 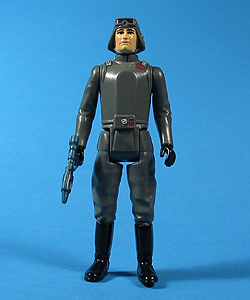 This figure also appeared as General Veers on a Canadian exclusive skin wrapped card*. Major Variations: Though all vintage figures have minor variations, the AT AT Commander has on sculpting variation of interest. The figure was available with two slightly different chest sculpts. The easiest way to spot them is to look on the figure's back. 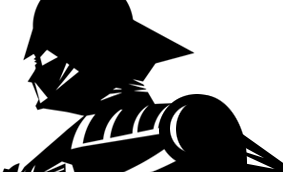 On one version, which also has more defined folds in the tunic under the belt, sports two short rectangles under the three lines on the upper back, while the other version has two larger rectangles that, together, are the same width as the three lines above it. There is no indication of either version being any more rare than the other.